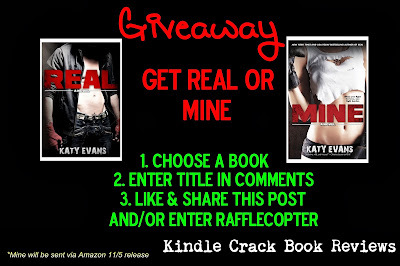 REAL & MINE Giveaway! Who wants some Remy? I know I do. 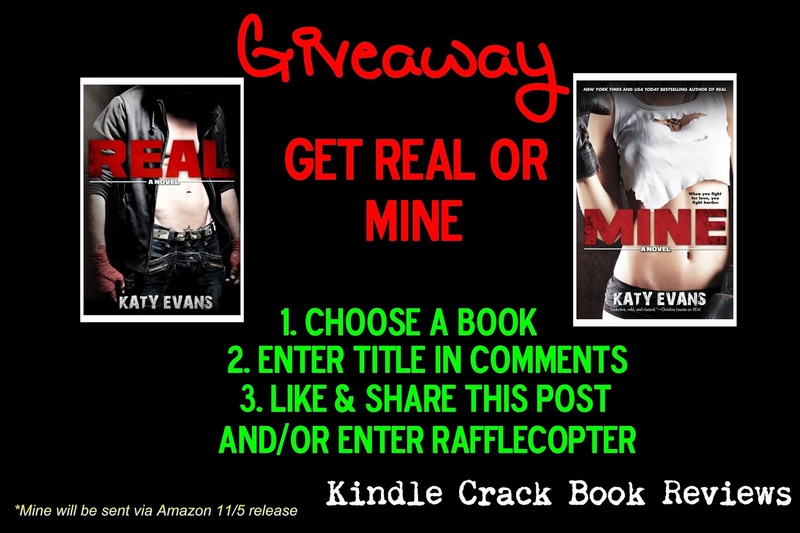 Three winners can choose a book from the Real series by Katy Evans. ***If you choose Mine – your eBook will be sent via Amazon on 11/5 (release day). Legal stuff: I am responsible for this giveaway/promotion. This promotion is in no way sponsored, endorsed, administered, or associated with Facebook. All giveaways will be sent out via Amazon by me.